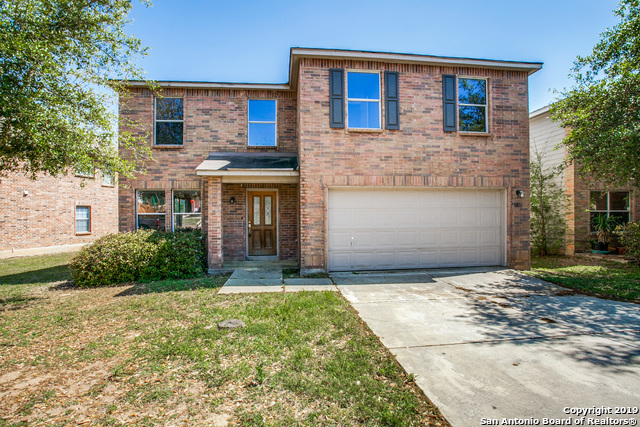 All Live Oak homes currently listed for sale in Live Oak as of 04/22/2019 are shown below. You can change the search criteria at any time by pressing the 'Change Search' button below. "Location Location Location! It doesn't get better than this, located right at 1604 and IH 35. Cul-de-sac lot in an amazing neighborhood where homes go fast. IKEA is right next door! This home sits on an oversized lot and has all the room you need! One bedroom and full bath downstairs. bonus room and other 4 beds up. Formal dining room. gorgeous tile and wood flooring throughout. Walk-in closets with tons of storage! Amazing landscaping in the backyard to entertain! Don't miss your opportunity." "Location, Location, Location! Nestled in Bridlewood Park at 1604 and Hwy 35 this stunning home still has Builder Warranty until 2021! Home is on Cul de sac with a HUGE backyard! Spacious home has master bedroom and office with french doors downstairs. Upstairs is a huge game room perfect for a full size pool table, gaming and sitting area! Generous sized secondary bedrooms all have large walk in closets. MEGA OPEN HOUSE April 6 ,12-3 includes a Foodtruck. First 20 guests receive a free meal!" "Great location, Beautiful two story home in Bridlewood Park. Two living/family room areas, ceramic tile, covered patio, OPEN Floor plan. Negotiable refrigerator, washer/dryer and pool table. Nice back yard with inground pool extra patio slab 9x12 for a cabana. You'll want to make this YOUR NEW HOME!!!" "Beautiful 1 Story Located in Bridlewood Park! Home Features - 3 Bedrooms * 2.5 Baths * Study with Glass French Doors * 3 Sides Brick/Stone Masonry * Texas Star Wood Front Door * Tray Ceiling at Foyer * Granite Kitchen Counter-Tops * Stainless Steel Appliances * Large Walk in Shower at Master Bath * 2' Faux Blinds & Extended Covered Patio with Cedar Tongue & Groove Plank. Bridlewood Park is conveniently located near 1604 & I-35 and offers easy access to the Forum Shopping Center, Randolph AFB, &"
"Why pay brand new home prices for homes on tiny lots if you can buy an extremely well kept, move in ready, better than new home on a XXL lot w a HUGE COVERED PATIO, backing up to a GREEN BELT w/ the best curb appeal in the subdivision. An entertainers dream come true w/ all the high end finishes that 1 can dream off but yet very affordable. A floor plan that is super unique & a luxury kitchen that should be on the cover of a magazine. Did I mention that the media room comes w/ everything in it. " "Brand new. Custom. Single-story. Sprawling over more than a 1/4 acre lot. Did I capture your attention yet? It's under construction currently. 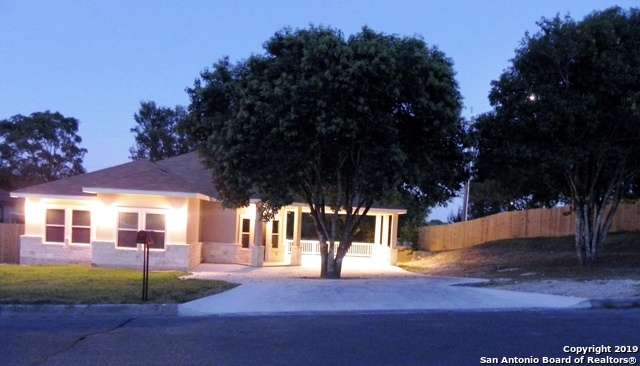 Enjoy private direct-access to the Live Oak City Park! 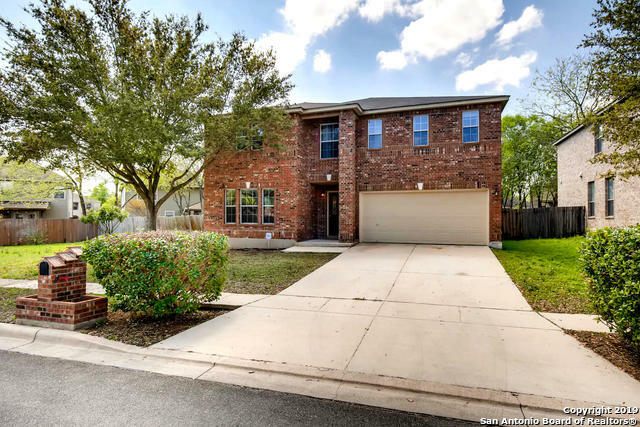 Located near the NE 1604/35 interchange, only mins from NE Lakeview College, Forum Shopping Center and Live Oak Town Center which houses the new IKEA & more! 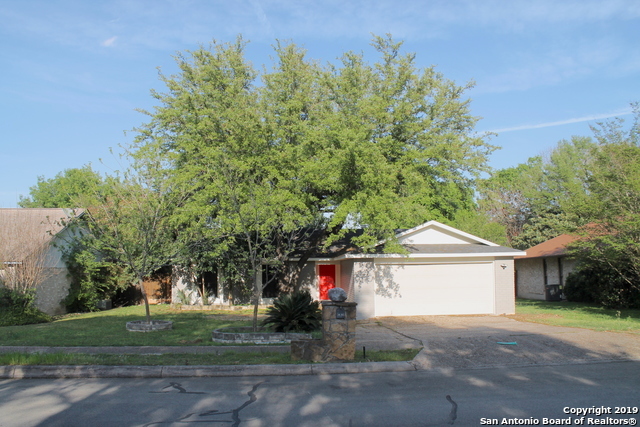 Take pride in owning within an established neighborhood with mature trees & no HOA! Area new home builders can't compare, this home is for YOU!" "New marble counter tops, new stove/oven, dishwasher, pool pump. Newly painted Living Room and Dining Room. Property is located one block from a green Belt area. Great for jogging, cycling, walking or dog walking." 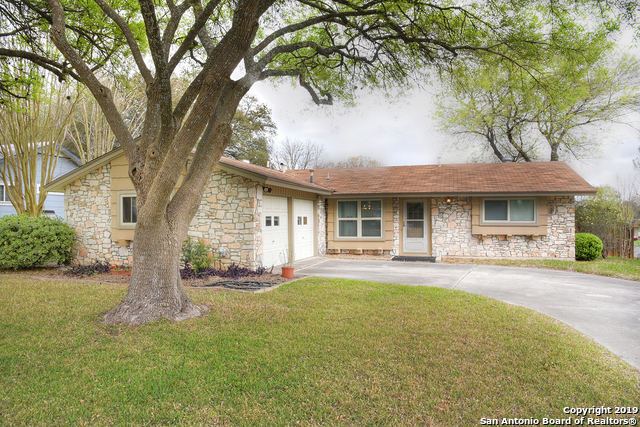 "3 BED/2 BATH 1716 sq ft. HOME on OVERSIZED .24 ACRE CORNER LOT in BRIDLEWOOD PARK. Turn-key move in, updated kitchen, high ceilings with luxury lighting fixtures and Bonus Room/Study! Master Suite w/ spa-like bath and oversized walk in closet. Back yard covered patio overlooks generous yard & rose garden, ideal for entertaining or enjoying summer gatherings. Community features park, playground and sports court! Convenient to 1604, I35, The Forum Shops & restaurants. A MUST SEE!" "Jewel of the Northeast! 3477sf BRICK home in the Auburn Hills at Woodcrest subdivision of Live Oak. 4bd/2.5bth with gorgeous WOOD and TRAVERTINE TILE downstairs. Huge master bedroom and game room upstairs. Plenty of space for family and friends. Carpet needs replacing. Large lot. And no HOA fees! 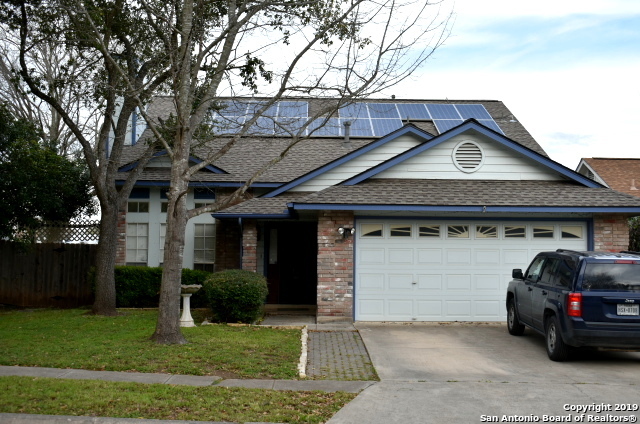 Come see this great find at the OPEN HOUSE SUNDAY 3/24 FROM 1PM TO 4PM"
"Energy efficient Home. Solar Panels will save you thousands of dollars over your loan term. 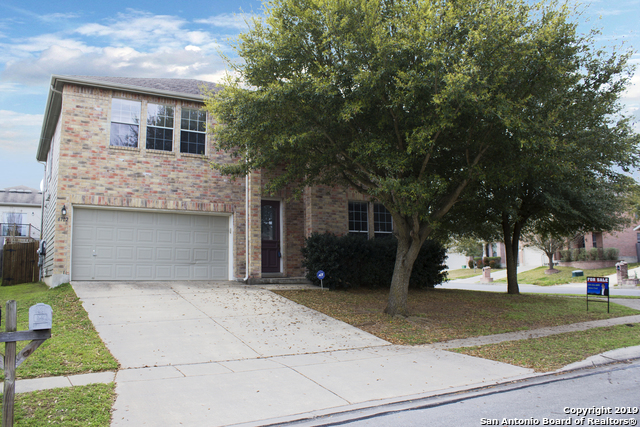 Charming 4 bedroom, 2.5 bath home is move-in ready with large backyard!! 2 eating areas, oversize island kitchen with stainless steel appliances! Master with large bathroom and his/her vanities. Conveniently located near shopping centers, schools, major highways and military bases! Make your showing appointment today!" "Beautiful and upgraded single story three bedroom, two bath home in Bridlewood Park with a front porch that you'll absolutely love! 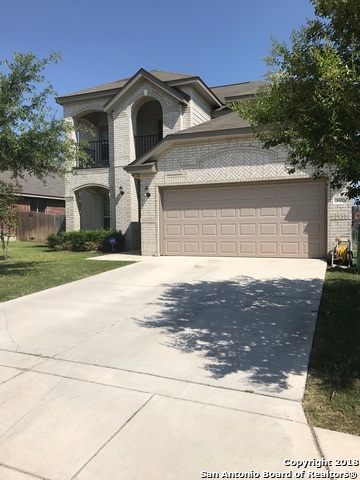 Rich wood flooring accents the spacious open floorplan with dining room, large family room, and a kitchen with granite counters and stainless steel appliances. Wall mounted TVs stay with the house. Master bath has separate tub and and tile shower. Generous secondary bedrooms. Covered patio is extra wide with low accent walls and two large ceiling fans to help you co"
"BEAUTIFUL AND RECENTLY REMODELED SINGLE STORY READY FOR WELCOME YOU HOME ! 4SIDE BRICK, OPEN FLOOR PLAN - 4BEDROOMS - 2 BATH - 2 CAR GARAGE ** PLUS DETACHED 1 BEDROOM -HALF BATH - A/C DWELLING ** NEW CERAMIC TILE THROUGHOUT, NEW FRESH PAINT, LARGE LIVING ROOM W. CATHEDRAL CEILING & FIREPLACE, UPGRADE CEILING FANS & LIGHT FIXTURES, GRANITE COUNTER TOPS, TRAVERTINE BACKSPLASH, STAINLESS STEEL APPLIANCES, UPGRADED BATHROOMS, A MUST SEE !!!" "Only home in the neighborhood with a fully equipped attached GUEST SUITE to include a full bathroom, kitchenette and ADA accessible!!! 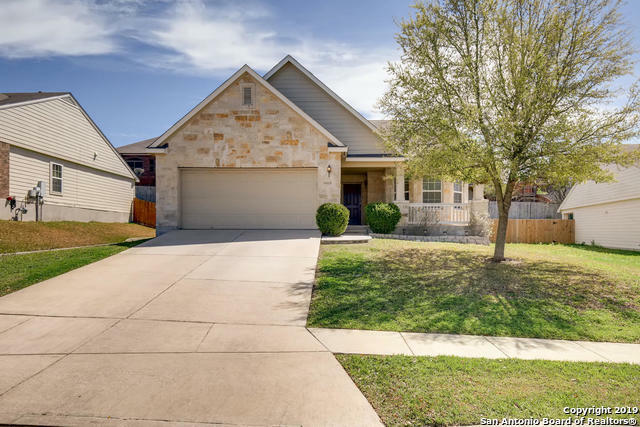 This adorable home features additional upgrades: ceramic tile and laminate flooring thru-out, kitchen granite counter top, remodeled bathrooms, extended drive way, covered patio, and more! Near Randolph AFB, shopping centers, and interstate. Don't wait! Make an appt today!" "This is a foreclosure home. Bank is selling as is and will not do repairs." "Beautiful 3 bedroom, 2 & 1/2 bath home with a two car garage located in the highly sought after Auburn Hills at Woodcrest neighborhood. Home features an open floor plan, custom solar screens, & overhead storage rack in the garage. Home is located at the end of a cul-de-sac. Great community center includes a large pool, playground, and basketball court. 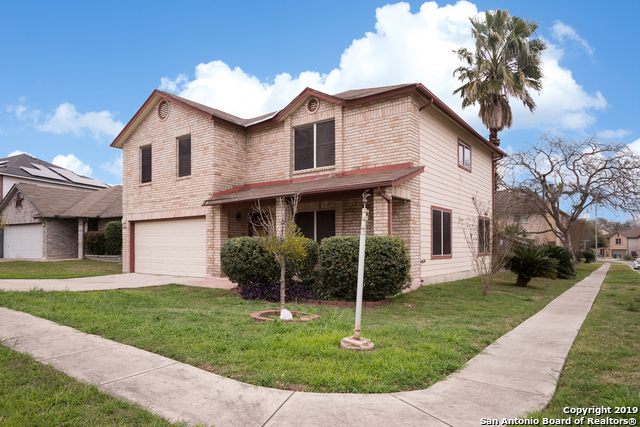 Location is convenient to several military bases, schools, shopping, and major highways. Don't miss this opportunity to own this beautiful home." 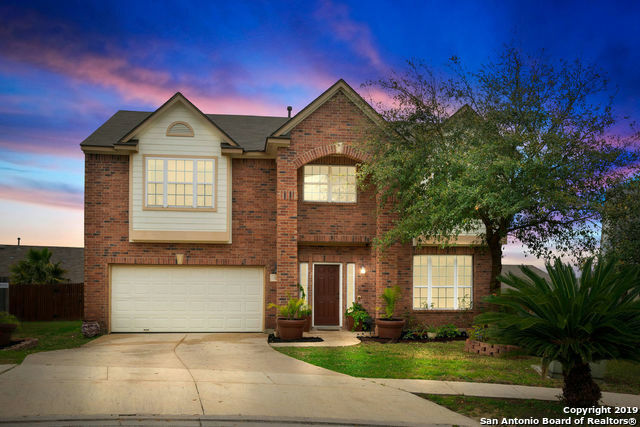 "This San Antonio two-story offers a loft, a kitchen island breakfast bar, a walk-in closet in the master suite, and a two-car garage. Upgraded features include new carpet in select rooms and fresh interior paint." "Don't miss out on this beautiful 2 story home located in the quite established neighborhood of Woodcrest. The home offers 3 bedrooms with the master suit downstairs. It also features high ceilings, a spacious living room including a fireplace, open floor plan, two eating areas, and a loft. The backyard is perfect for entertaining with a large covered patio. Lastly, look forward in saving on your energy bill; this home also comes with solar panels. Schedule your appointment today!" "OWNERS HAVE TAKEN GREAT PRIDE IN THIS HOME!! THEY HAVE PUT SOME REAL NICE TOUCHES TO UPDATING THE INTERIOR WITH A LARGE TANKLESS WATER HEATER, WONDEFUL LAMINATE FLOORING, NEW TILE SHOWER & FLOORING IN MASTER BATH, REMODELING EXTRA BATH AND UPDATED INTERIOR PAINT! FLOORPLAN OFFERS PLENTY OF ROOM FOR THE WHOLE FAMILY AND GIVING THE PARENTS PRIVACY WITH THE SPLIT DESIGN. THE GARAGE WILL GIVE THE MAN THE PERFECT MAN CAVE! HOME OVERLOOKS A GREAT WOOD DECK AND OPEN PATIO FOR ENTERTAINING!" 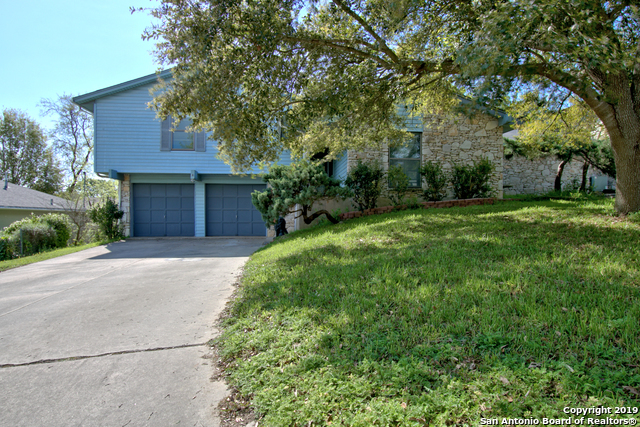 "Gorgeous 1 Story home in Live Oak Village! 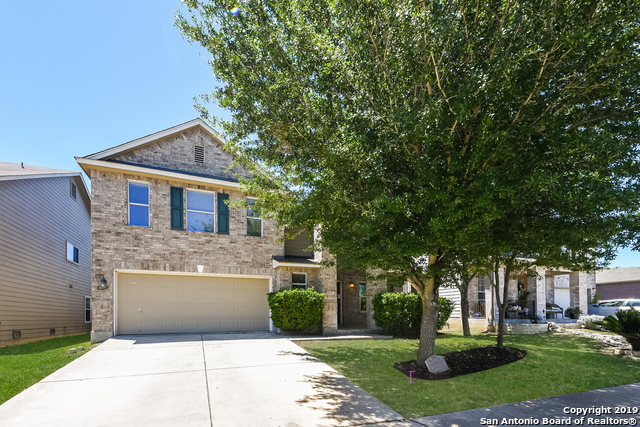 This home features 2 spacious living areas, formal dining, open kitchen with custom features, wood floors, no carpeting, tile throughout, Extra large covered patio. split 2 car garage. Lots of privacy. Refrigerator, stove, and microwave all stainless steel. Custom lighting, sinks, mirrors. Sky light in family room. This home is a must see!!" "Charmingly delightful well-maintained family home in sought after Woodcrest subdivision is move-in ready. Close to Hwy 281, I-35, 410 and 1604! Perfect backyard highlighted with large wooden deck on concrete slab perfect for BBQs and entertaining. Community pool, sports courts and playground accent this awesome community. Put this one on your must see homes today!" "Come see this beautifully updated 3 bed 2 bath home today! 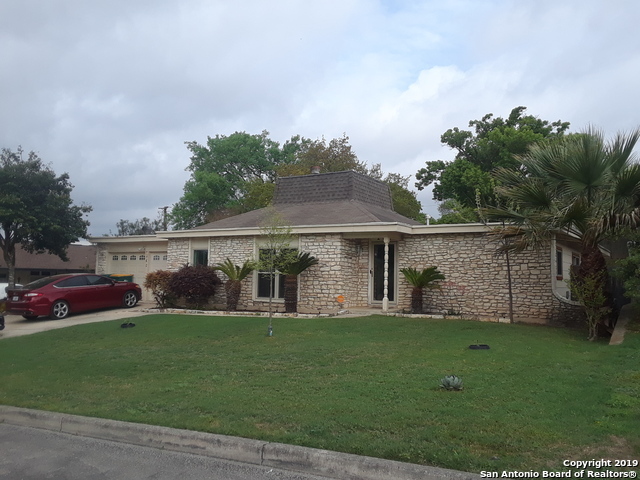 This home has new paint inside and out, tile floors, granite counter tops, new cabinets, cozy fireplace, large garage with lots of storage, and much more! The open floorplan flows out to the backyard oasis including a large custom inground pool and vegetable garden. There is also an outdoor shower and BBQ area. No lawn maintenance!" ": Meticulously updated & maintained. This home features large rooms including an extended Master suite with walk in closet. Formal dining with wood flooring, Generous family room with fireplace and vaulted ceiling. Fabulous corner lot, pretty landscape & sprinkler system. Delightful backyard decking with hot tub included! Bonus RV/boat parking. Walk to Live Oak's 75 acre park~fishing lake, sports court, hiking trails, disc golf, athletics & so much more! You wont be disappointed"
"RARE FIND near Randolph! 1 of largest floorplans/lots in Live Oak! 3B/2BTH ranch w/ GARY POOL. One owner home w/beautiful garage reno adding LG family room w/FP/gas logs. Recently upgraded handscraped laminate floors*METAL ROOF*.22 acres w/LG private backyd & mature trees. 12x12 addition off patio for ofc/exercise/flex. 12x19 addition off master w/hot tub & walking machine 4 the perfect spa room! New Privacy Fence (May 2018)." "BEAUTY, WARMTH, VALUE! This home has all three. 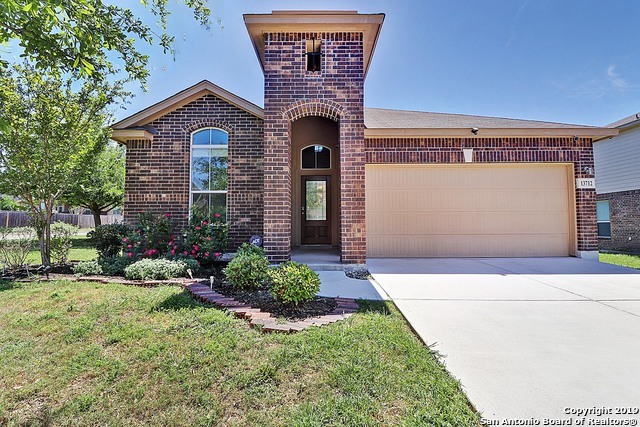 This quality built 4 sided brick home is in wonderful established area just minutes from IKEA, shopping, hospitals and RAFB. Spacious family room has vaulted ceiling and floor to ceiling fireplace as a focal point. Updated kitchen back splash, new flooring and carpet throughout. Did I mention the large backyard and mature trees? Come fall in love today!"